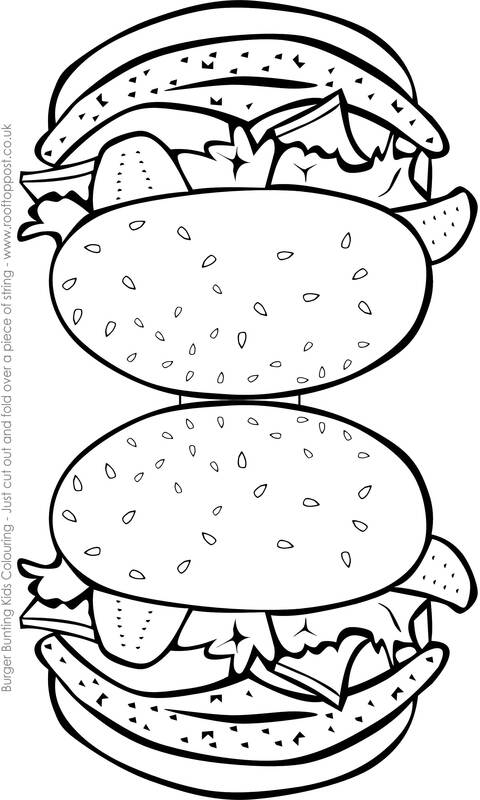 Get the children to help you prepare for your barbecue party by colouring in this burger bunting. One finished, just cut them out, fold in half and hang over string to make cheerful decorations for your house or garden. They look fab and are always a talking point for guests.